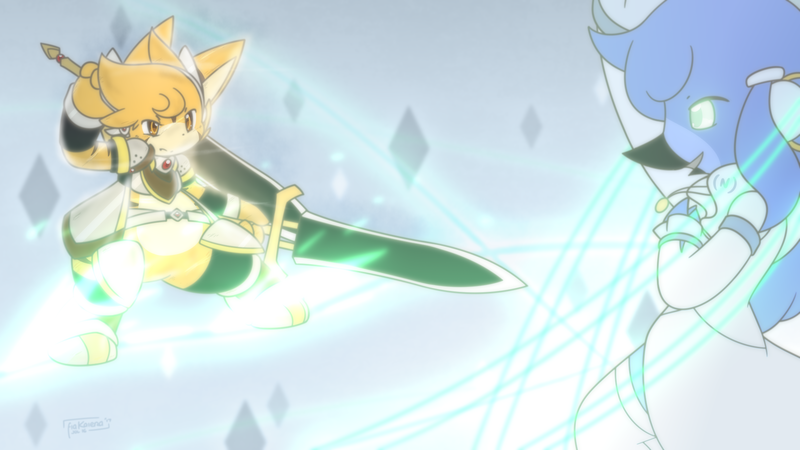 Here is Shadic facing Melia for the Trial of Sav Vox, aiming to be an Oscisav Vox in my series. However, this seems his attempt this time would fail... he looks really wounded. He is also at a disadvantage due to her conditions. This art took so much time just do get everything right. Creative Commons Attribution-Noncommercial-No Derivative Works 4.0 License.